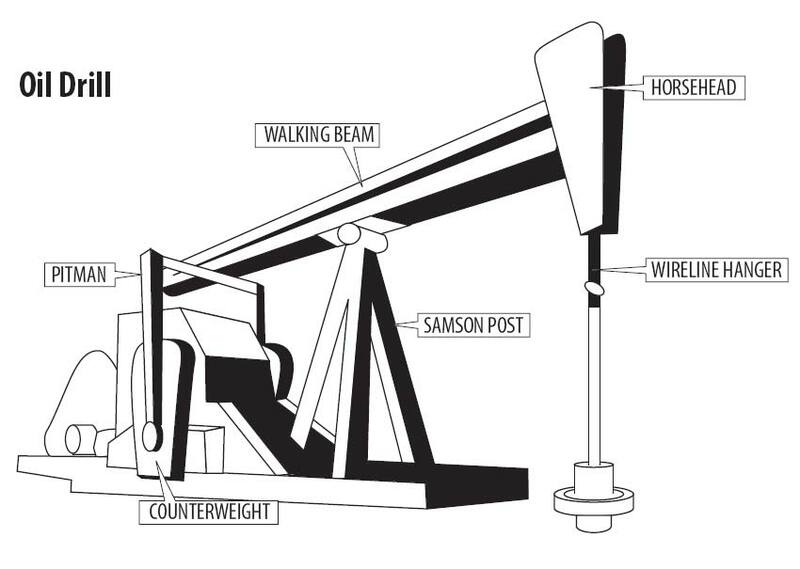 Artificial lifting systems, or pumping units, are used to help pull oil out of reservoir rock and pump it up a well. A down hole pump in the well is connected to the pumping unit by steel rods, which are screwed together. The pump is activated from the up and down movement of the pumping unit on the surface. As the pump plunges down, fluid from the rock formation flows into the pump chamber. On the upstroke, the fluid in the chamber is forced up the tubing, to the surface. Working in small groups and using the scissors, cut a 1 cm slit at one end of each straw. Join the straws end to end to form one long tube. Place the slit end of the straw into the inside of the adjoining straw. Place masking tape over each connected end to secure the joint and create an air tight seal. Place the carton of chocolate milk or carbonated beverage on the floor. One member of the group stands on a chair and inserts the extended straw “tubing” into the carton of chocolate milk or carbonated beverage, trying to bring the liquid to the top of the “tubing” using his or her suction. Be sure to “spot” whoever is standing on the chair, so that the person does not fall. Now decrease the number of straws used for the “tubing” by cutting off one straw. The same student tries to bring the liquid to the top. Continue cutting off one straw at a time at the joint, trying to bring the liquid to the top. Discuss: Which length of straw required the most effort to bring the liquid to the top? Which length of straw required the least effort to bring the liquid to the top? Why? Study the diagram of the artificial lift system here. Extrapolate from the diagram what is happening to retrieve oil. What are your findings?